If you’re a video shooter and/or a Panasonic Lumix GH5 owner, here’s a lens setup worth considering. There’s a seemingly infinite number of combinations when it comes to pairing lenses and adapters to your DSLR or mirrorless camera body. The possibilities are endless. And, often, confusing. What focal length(s) to use? What f-stops make sense for your particular project? And what about that all-important depth of field (DOF) and the overall aesthetic your aiming for? While there’s no “right” answers. And often the best thing you can do is to experiment. Shoot some video. Play with the footage. Learn what you like and don’t like. There’s a lot of personal preference here. I may like the look and you might not. Or, perhaps the footage looks cinematic, but the operation of the particular lens is not so great. 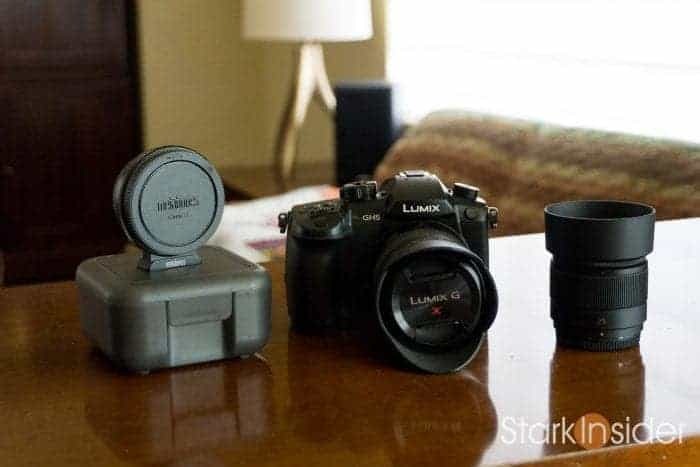 Panasonic GH5 with Metabones Ultra adapter, and Sigma EF 18-35mm f/1.8 zoom lens. On top a Ninja Inferno monitor/recorder (excellent, but eats batteries). Dollar for dollar this setup is surely one of the best available today. There’s a few reason why I like this trio for shooting videos for Stark Insider. First, there’s the wonder kid known as the GH5. 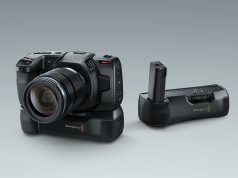 If you’re into cameras and videography and/or filmmaking you probably already know all there is to know about Panasonic’s 4K mega-hit of 2017. The feature list is drool-worthy — and, quite frankly, I’m a surprised a camera manufacturer was able to pull this kind of capability together at this price point. 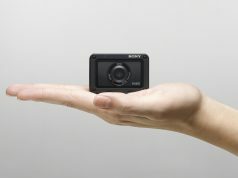 4K video with ability to shoot 60fps for pretty slowmo, dual SD card slots, 10-bit 4:2:2 color for lots of creative possibility in post, dual IS (when used with a compatible lens), optional XLR module for professional audio, and on and on. As an aside, I would like to see more intuitive menus. Sigh, there’s always something. This is an adapter that converts the GH5’s Micro Four Thirds (MFT) lens mount to, in this case, a Canon EF lens mount. 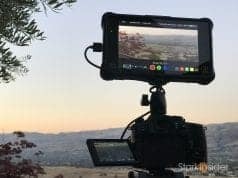 With it you can use Canon glass on your GH5. That’s handy for many of us as we’ve stockpiled plenty of EF and EF-S lenses over the years — Canon makes quality glass at fairly reasonable prices. I’ve been shooting videos for over 10 years — Canon Rebel T2i, 60D, 70D, 80D, C100 II — and while my lens collection is far from massive (I prefer to keep only lenses I use on a regular basis) it’s enough of an investment that I want to use them whenever possible, instead of buying new ones. Metbones Ultra MFT/EF adapter on left. 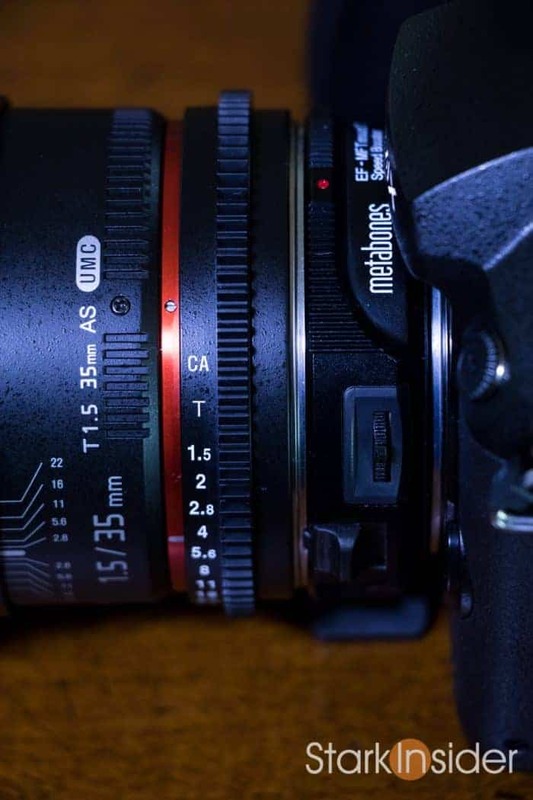 Metabones Speedbooster with Rokinon 35mm, another quality lens on the cheap. With the Metabones Speedbooster Ultra 0.71x EF/MFT ($649 at B&H Photo) I can adapt my EF lenses to the GH5 body. And there’s a cherry on top! That is, the Metabones also reduces the “crop factor” by a factor of 0.71. That means you get a wider FOV. So a 50mm lens would effectively become about 35mm. To properly calculate the full-frame equivalent the complete math would look something like this: 50mm (lens) x 0.71 (Metabones crop reduction) = 35mm. In a word this lens is a gem. Notice that RED packages this Sigma 18-35mm lens with its Raven bundle at the Apple Store. Surf the camera forums and you’ll find endless praise for it. Sharpness. Color. Little distortion. 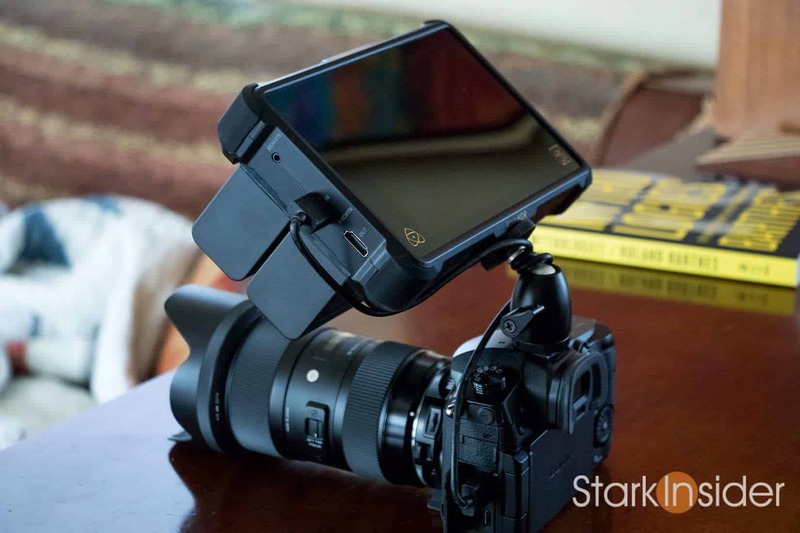 DxOMark gave the Sigma 18-35mm a score of 28. That’s very good for a zoom lens. There’s no IS, however. Use this Sigma with a non-stabilized camera body like a RED or Canon DSLR and you’ll get plenty of micro-jitter. This is where the GH5’s in-body IS comes in to play. It’s the best I’ve used. Other cameras have it. The Sony a6500, for instance. But none seem to produced the jello-free results you can get with the GH5. Sigma 18-35mm f/1.8. 8th wonder of the video world. 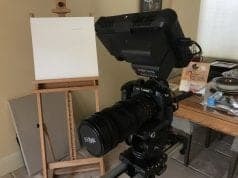 All this to say, if you’re researching cameras, lenses, and are thinking about getting into video shooting, or perhaps upping your game on YouTube or Vimeo, this is a combo worth considering. All told, the combo (GH5/Metabones Ultra/Sigma 18-35) comes in at about $3,400 (USD). Not cheap by any means. Keep in mind though you’ll have a 4K shooting beast that should last you for many years. I’ve heard some suggest the GH5 footage can hang with the big boys like RED Raven, Sony FS6 and Canon C100. Probably partial truth there. 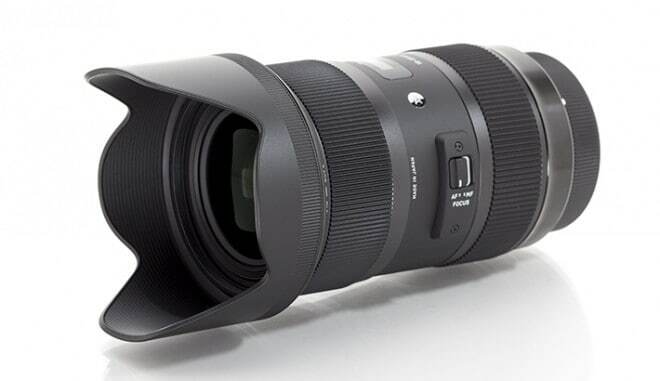 And with the Sigma 18-35mm you’re getting the flexibility of a zoom with the optical performance of a prime — or pretty close to it. Some consider it 3 primes in one: 18mm, 24mm and 35mm. That’s an interesting way to look at it, and based on shooting with it for about 4 years, I completely agree. 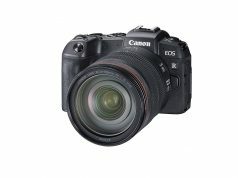 Gear: Canon EOS 70D (still a great DSLR with that amazing DPAF!). Sigma 18-35mm. Zoom recorders. Gear: Canon C100 II. Sigma 18-35mm. Some stuffed animals and a very willing spouse. Also, I recently shot this short film with a GH5 + Metabones Ultra + Sigma 18-35mm (and a few with the peachy Rokinon Cine 35mm). Many of the shots are handheld, and you’d never know it. Gear: Panasonic GH5. Metabones Speedbooster Ultra. Rokinon Cine 35mm t/1.5. Sigma 18-35mm f/1.8. More to come here on Stark Insider. We have a new series of shorts coming out soon, with a surprise or two thrown in for good measure. 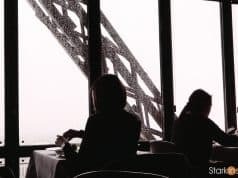 PS – Who. is. Stark. Insider. ?